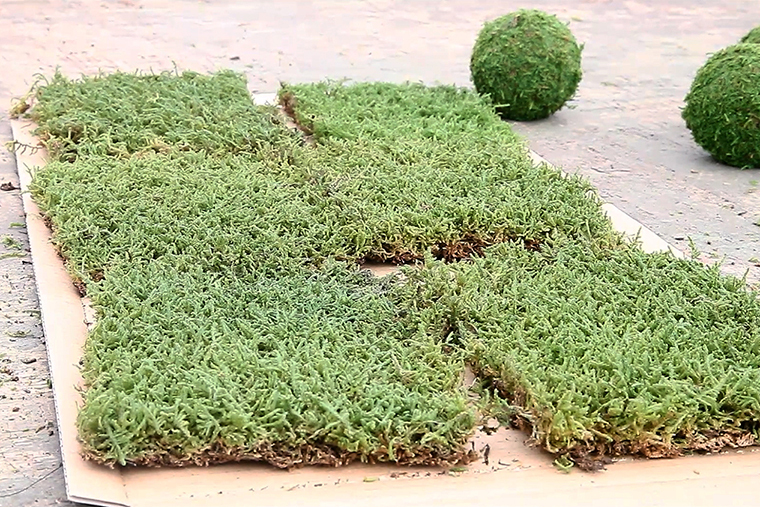 Did you know that there are around 20,000 types of moss all around the world? Studies show that 1,800 types of moss inhabit Japan, making it known as a great moss country. In Japan, moss has been part of our lives for a long time. Throughout history, mosses have been practiced and featured in Japanese-style gardens to display a spectacle of nature, and they are often expressed in classic Japanese poems, so many people are familiar with moss. Furthermore, in the lyrics to the Japanese National Anthem, moss is mentioned, “for small pebbles to grow into a great rock and become covered with moss” as an expression of hope that the country will prosper forever. 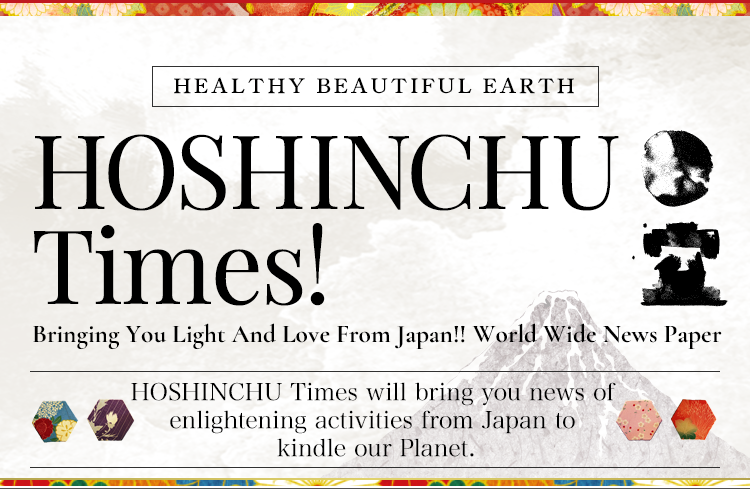 It shows that in Japan, moss is inseparable from our lives and has been strongly influencing us. 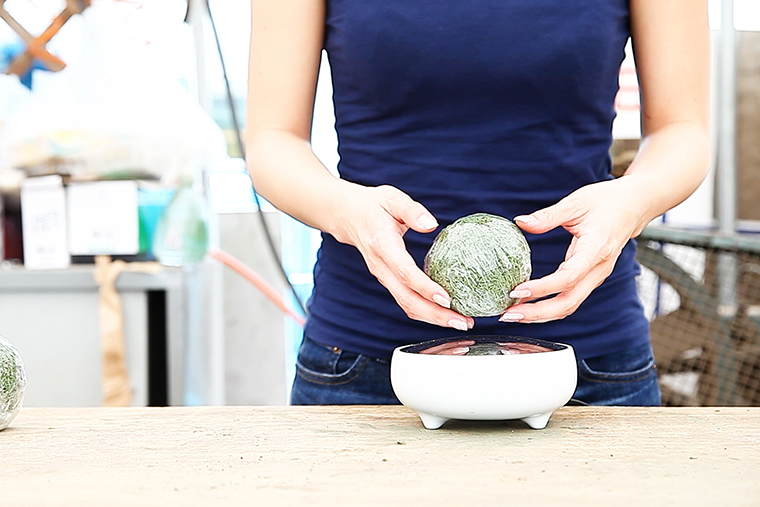 Recently in Japan, the “kokedama”—a plant grown inside a moss-covered ball—has become a staple of plants in our daily lives. When we see moss, we automatically feel Nature and comfort. Even if time, seasons and our lifestyles change, moss will remain inseparable from our lives, providing us with a sense of peace and harmony. 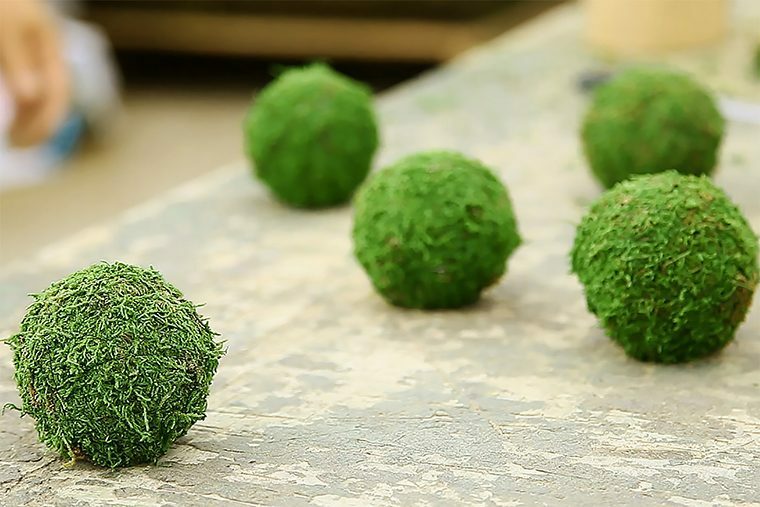 “little star” Moss is produced in the Yamagata Prefecture, northeastern Japan. 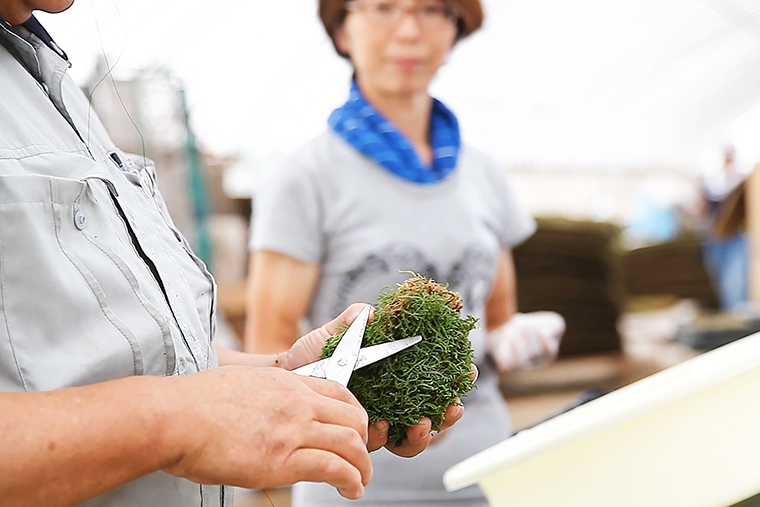 Yamagata Prefecture is incredibly rich in nature and the region’s environment is ideal for the production of moss. Mogami River appears in “Oku no Hosomichi – The Narrow Road to the Deep North”, a journal written by the infamous poet, Matsuo Bashou, about his travels around Edo, Ohshu, and Hokuriku-do in the mid-Edo period. “Ah, tranquility! 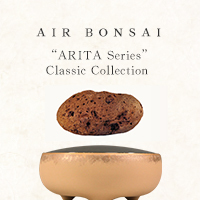 Penetrating the very rock, a cicada’s voice” is another famous haiku written by Bashou in Yamagata Prefecture. 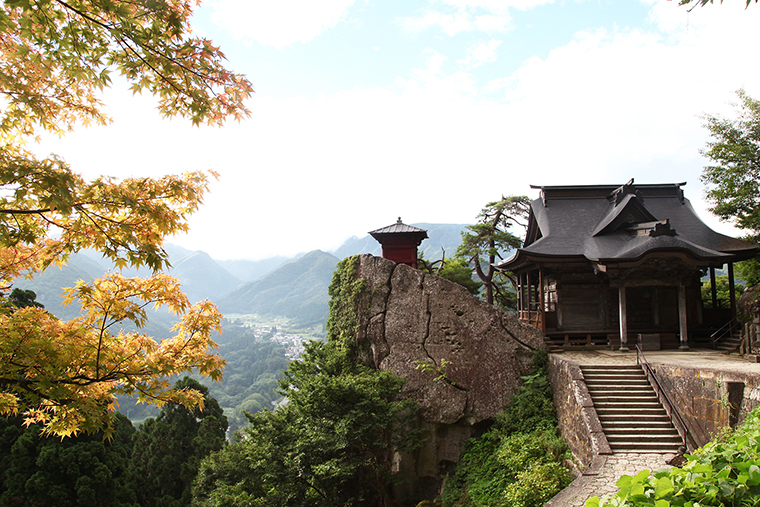 In other words, Yamagata Prefecture is a location so rich in nature, the surroundings affected Matsuo Bashou to write haiku. The moss we use for “little star” Moss originates from such naturally influential region. 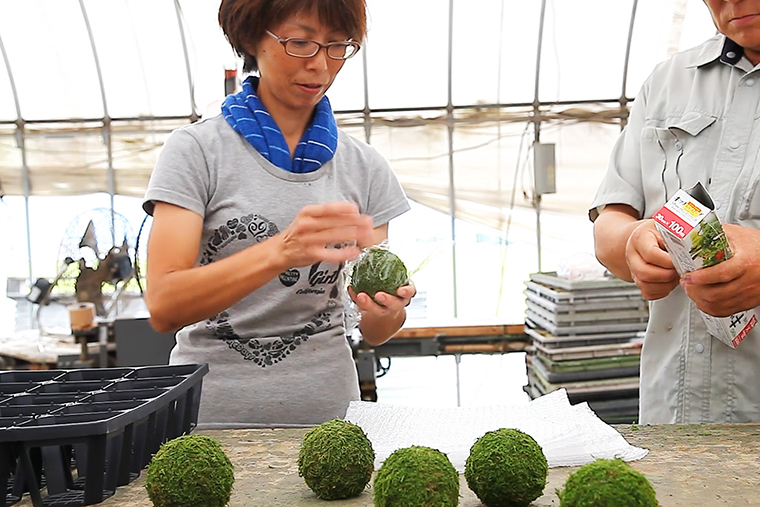 Dedicated artisans roll up moss one by one to make the “kokedama”. The moss used for the “little star” Moss is processed using special techniques to ensure it will stay green without soil. 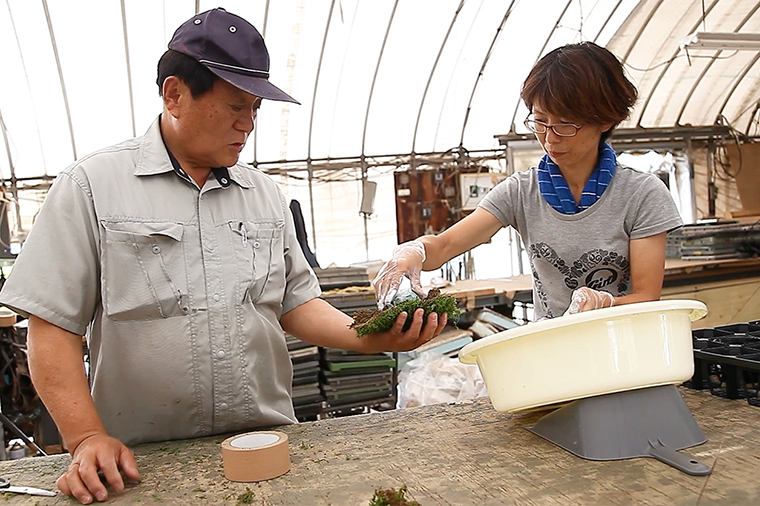 The moss is dried to deliver the exact same fresh condition as when it was produced. Provide water to revive the “kokedama”. Please continue to give an adequate amount of water regularly. Caution: To avoid withering, please raise the moss with extra great care. We believe in you. Finally, we would like to share an important message. In recent studies, mosses are on a decline all over the world. The main cause is the significant damage on their habitat brought about by the change in natural environment. There is a theory published by a team led by Tim Lenton from the University of Exeter, United Kingdom, that the Earth’s steady supply of oxygen was brought by the propagation of mosses 400 million years ago. 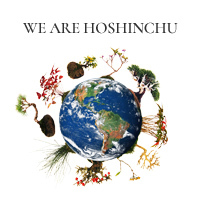 We believe that we need to protect the habitat of mosses in order to protect the Earth. We would be delighted if the “little star “Moss can motivate everyone to start thinking about restoring our source of oxygen.